﻿ Which bookmarks have a plugin assigned? > I wanted to know what are the bookmarks that uses plugins. 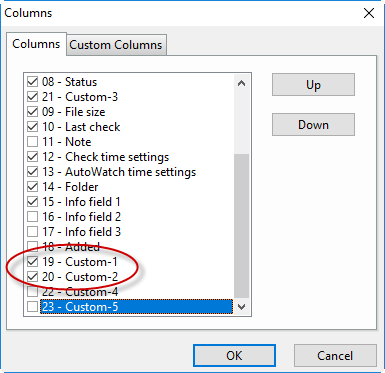 You can show that information in a custom column and sort the bookmark list by that column. Then you can easily see which bookmarks use a plugin. 1. Call Options + "Columns..."
2. Then use the configuration as shown in the following images. 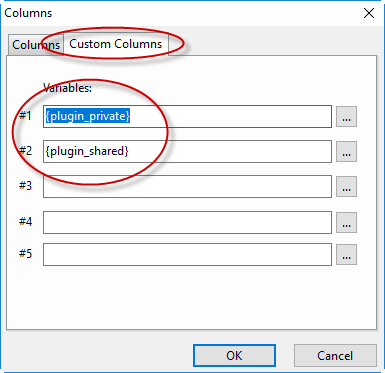 Then your bookmark list will show two new columns with the plugins that are used.